The biggest myth around PDFs is that the search engines do not consider them valuable and they are not well ranked within search engines. 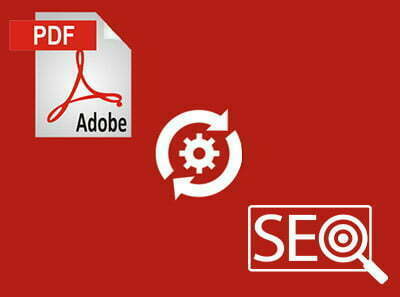 But the truth is in the eyes of search engines, a PDF is just like another web page, giving you similar opportunities. It must be remembered that search engines do not prioritize HTML pages while ranking and also recognize links in PDF pages. As PDFs can be opened on almost all types of devices and contain detailed content in a text-rich format, search engine indexes PDF pages easily. Even though most webmasters prefer HTML over PDFs, PDFs often proves to be more useful when you have content that is designed to be downloaded or printed, such as brochures, product manuals, or forms. Sometimes when the cost-benefit ratio of converting the PDFs is not positive, many users tend not to replace PDFs with HTML. Search engines understand the text better than images, so having plain text in your PDF files, where words are not in the form of pictures, makes search engines crawl your content in a better way. Always, include content that is relevant to increase your page ranking. Also, never fail to use text in the most critical part of your PDF, such as page headings and subheadings. Adding a filename to your PDF make the search engines work easy in ranking your page. The name of your PDF file also becomes the part of the URL, so it’s always more beneficial to use proper keywords in the file name. Also, make sure that your file name do not include spaces, but make use of a dash to separate the words.. Adding a file name is important, but it might be a mistake to underestimate the power of adding a great title to your file. Including appropriate title for the content, makes your PDF more search-engine friendly. Also, make sure that you add other properties such as author, subject, and keywords while assigning the title, as it might help to influence the rankings of your page. Just like any other web page, follow all the ethical methods of SEO to make your file more valuable for search engines. This includes normal practices such as including relevant internal links within the pages, enriching your page with suitable keywords, image optimization, and including creative and fresh content to optimize your page. The larger the file, the longer it will take to load, resulting in decreased user experience and creating a negative impact on the search engine indexing. Try to incorporate various tools such as ‘PDF Optimizer’ of Adobe, and learn the nuances of reducing PDF file size to create an optimized version of your file. Search engines can penalize your file for the duplicate content. Although having both HTML and PDF version of your file, might prove to be useful in some cases, it is wise to take measures to prevent the problems of duplicate content. Also, try avoiding creating a duplicate content by unintentionally changing the URL and filename when you tweak your PDF and reload it. Always remember that content is the king, and search engines value original and fresh content. Protecting your PDF with write-protect can prove to be useful especially when someone uploads your entire file and edit the file including the links in your file. It always pays to save the file under the older version of Acrobat, simply because not many of your users might have downloaded the latest version. The older version will help your file to be more accessible to a wide number of your target users. Have we missed anything? Let us know in the comments section below.